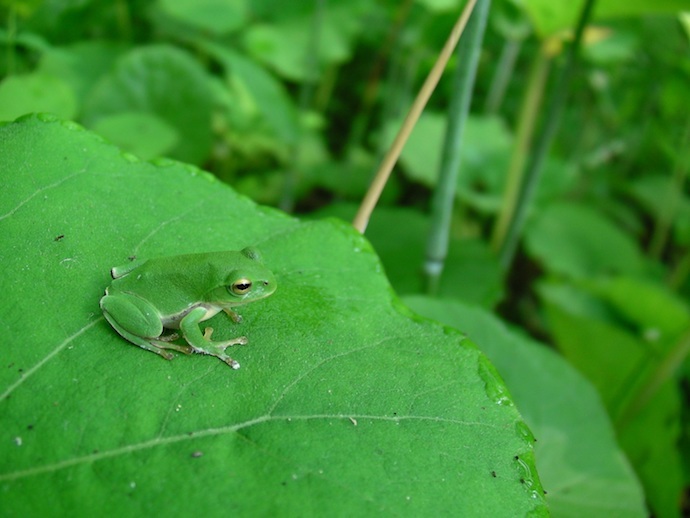 An old Japanese friend once told me that the name ‘kaede’ came from the shape of the leaf, ‘kaeru no te’. I don’t know if it’s true, but it was easy to remember. 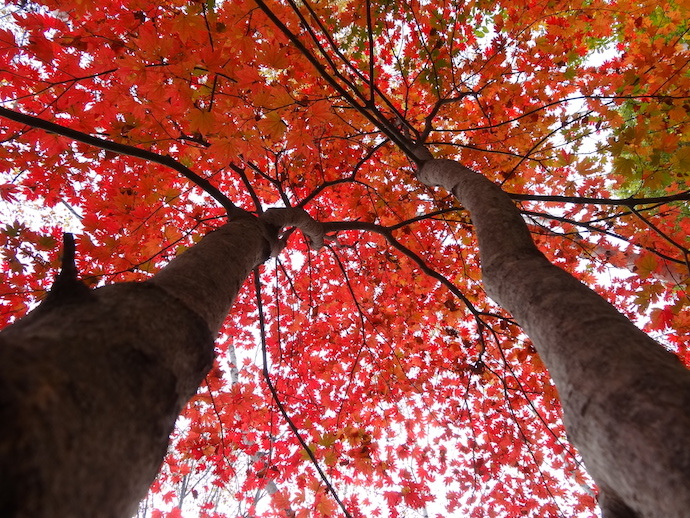 There are 128 species of kaede tree, growing ten to 45 metres tall. 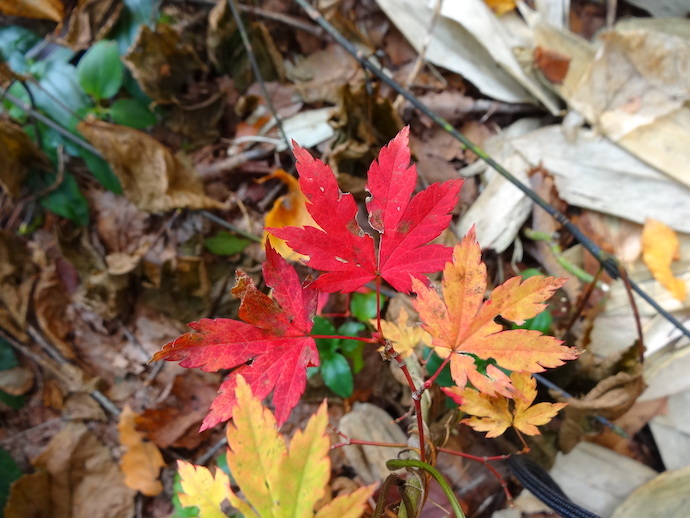 Japan is most famous for the kaede, which turn bright red in autumn. Kaede species have seeds with two ‘wings’, which cause the seed to flutter down or get spread by wind, like little whirling helicopters. One of our Afan woodland kaede is called ‘urihada kaede’ in Japanese, but I can’t find the English name. 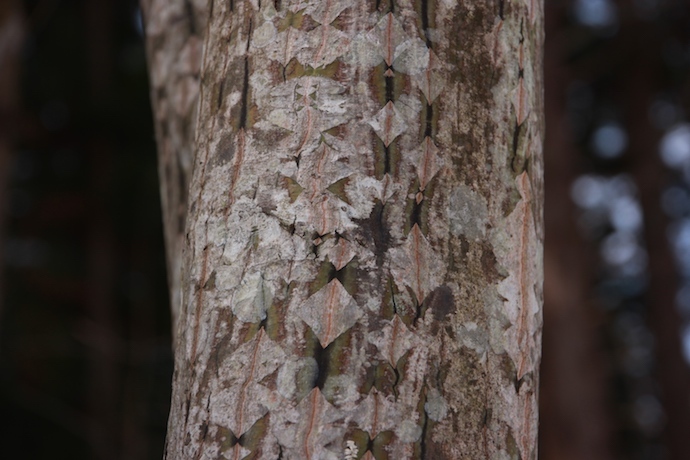 It has a large leaves, and mottled bark. Our now-retired forester Mr. Matsuki used to tap these trees in early spring, just like the famous Canadian sugar maple. He would make a very delicate, sweet maple syrup by boiling down the clear sap. It would take about 80 litres of sap to make one litre of syrup, which to my taste, was better than North American maple syrup. 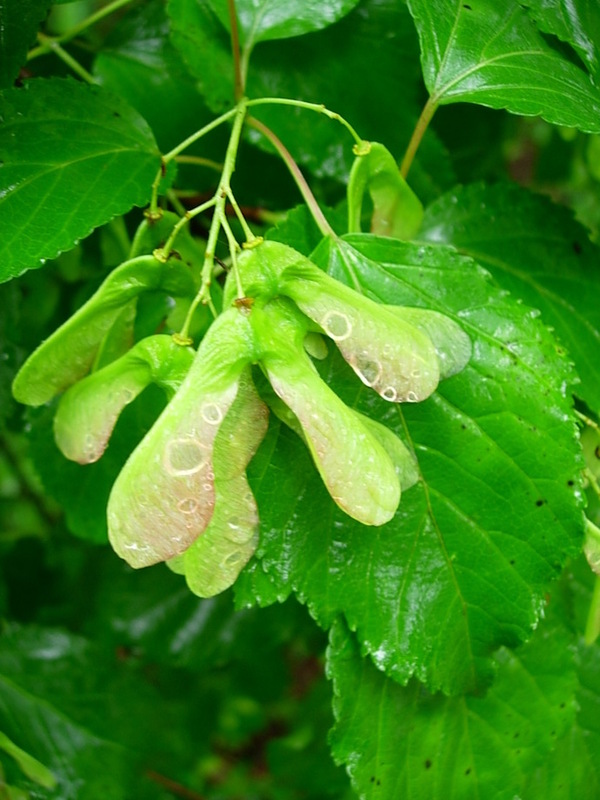 Maple is a very important species in nature, giving pollen for honeybees. The wood, of which are many grades, is hard and durable, used in making baseball bats, bowling pins, and for recurved archery bows. For furniture too, of course. Maple wood is also an excellent tonewood, extensively used in making guitars, violins, cellos, and also for woodwind instruments such as bassoons and recorders. Perhaps unfortunately it is also a favoured wood for pulp, because the fibres are strong and make good paper. We prefer to have them growing in the woods!